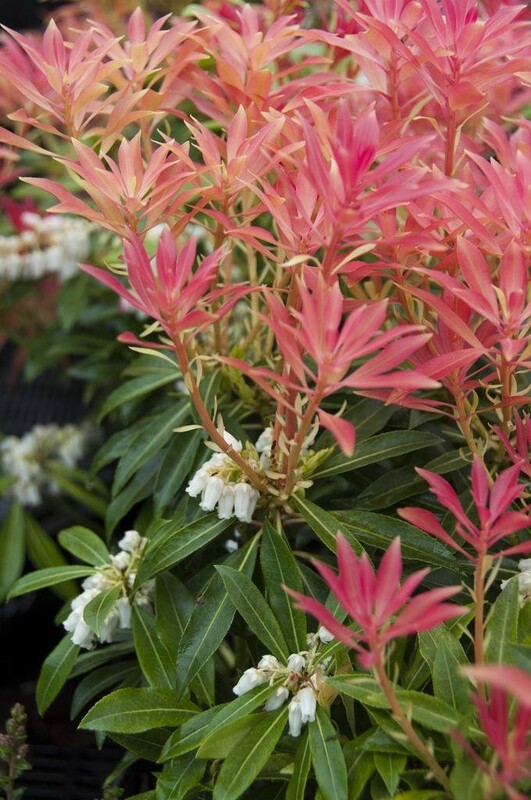 Clusters of white spring flowers resembling lily-of-the-valley, and glossy, bright red young leaves turning pink, creamy white then dark green. 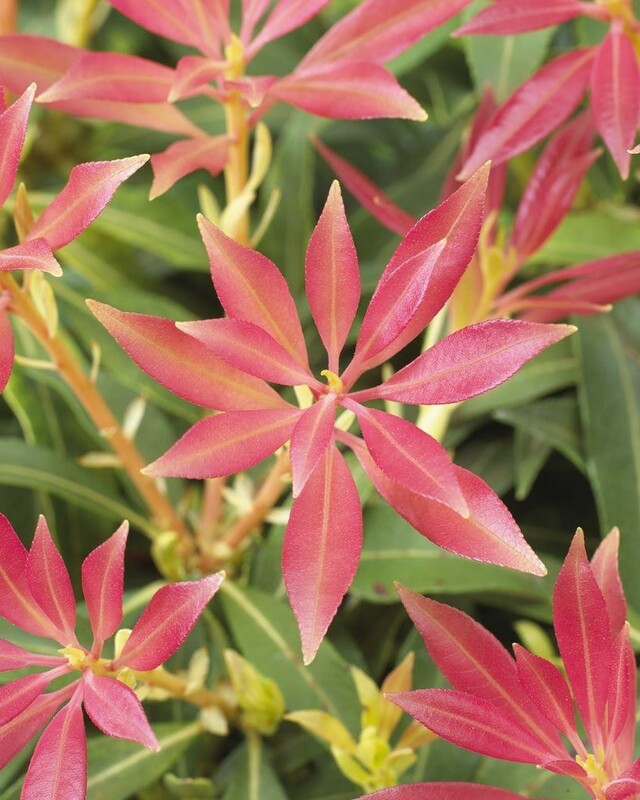 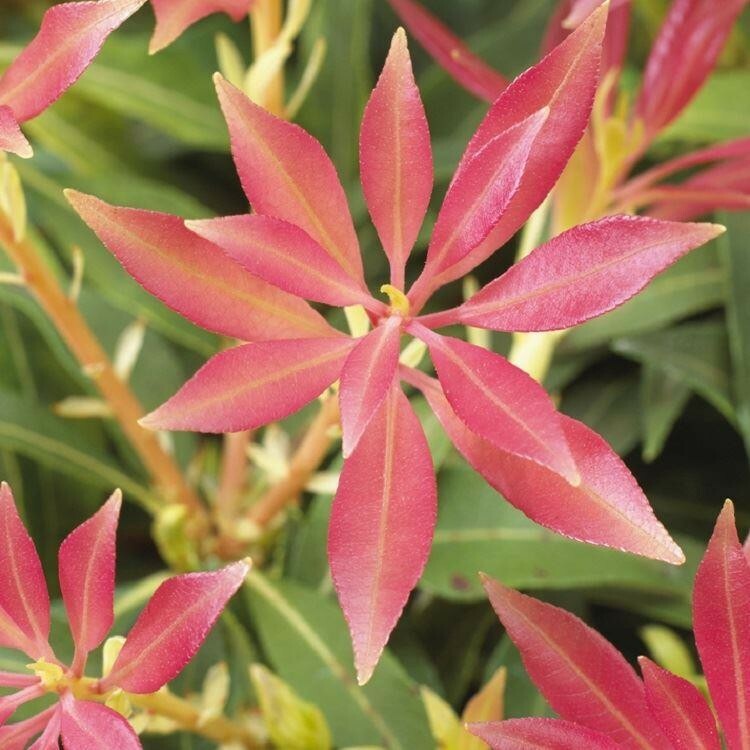 The fiery red young foliage of this upright, evergreen shrub is perfect for brightening a shrub border or woodland edge. 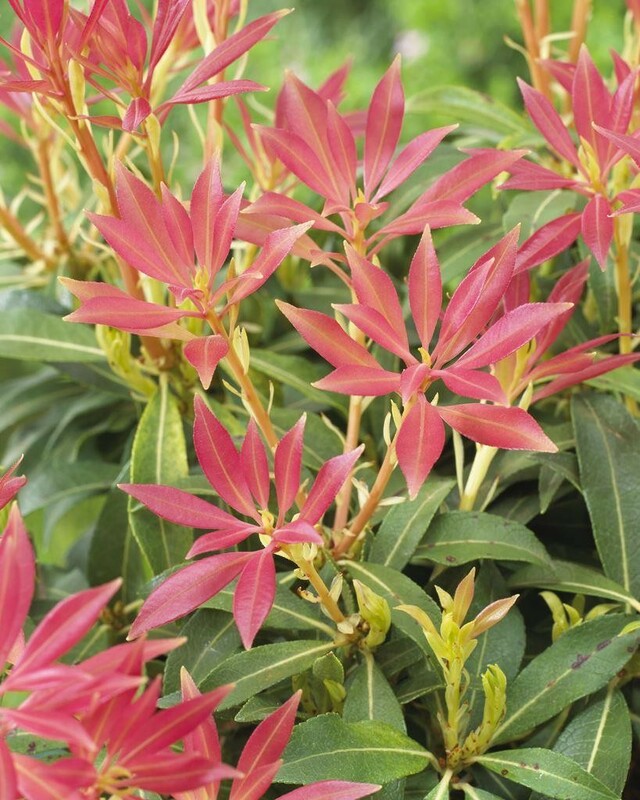 Supplied in approx 2-3Litre Containers.